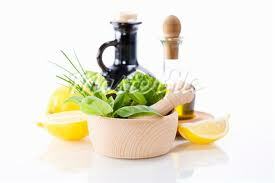 We have been using homemade salad dressings for several years now. I’m talking about just a bit more that the oil and vinegar. This product appears to be the latest in which when manufactured can hide a lot of sugar, salt and “stuff”. This one is so easy a kid can throw it together. Once made it can be used on ANY vegetable salad as well as drizzled onto any fish. Using a recycled glass jar, place all ingredients into it. Once sealed give it a good shake. I often make it in triplicate.